Openreach (BT) has issued an update on their existing plan to run a “commercial pilot” of Long Reach VDSL (FTTC) broadband technology, which involves around 120 premises across 6 rural locations. The operator claims that if deployed LR-VDSL could bring “fibre” to 99% of the UK by 2020. Just to put this into context. The Broadband Delivery UK programme has already helped to extend fixed line “superfast broadband” (24Mbps+) speeds to cover an estimated 92%+ of premises in the United Kingdom and this should reach 97% by 2020. After that Openreach envisages LR-VDSL technology as being used to help achieve the Government’s new 10Mbps+ minimum speed (Universal Service Obligation) in the final 3%. “Long Reach VDSL can potentially improve speeds for thousands of homes and businesses across Scotland and the rest of the UK – particularly those connected by long lines. Getting faster speeds to rural communities is one of our biggest priorities. We believe we can get fibre-based solutions to almost 99 per cent of homes by the end of 2020 including the use of Long Reach VDSL and our current plans would see most homes in the final five per cent of the UK receive speeds well in excess of 10Mbps. Long Reach VDSL is essentially a modified version of the same VDSL2 technology that already exists in the current ‘up to’ 80Mbps Fibre-to-the-Cabinet (FTTC / VDSL2) network, albeit harnessing higher signal power, Vectoring, G.INP and wider frequency ranges (tech details) in order to deliver faster speeds over longer copper lines from your local street cabinet (tech details). The catch is that it works best when older ADSL broadband connections are disabled, which complicates the roll-out because ISPs need to be convinced to play ball. This is a particular problem for LLU providers like TalkTalk and Sky Broadband, which have invested money into building their own platforms. The price difference between ADSL and more expensive FTTC is another issue, although Ofcom’s proposed price cut could help to solve that (here). Last year a Proof of Concept trial took place in Isfield (East Sussex), North Tolsta and Barvas (Isle of Lewis), which we’re told was able to deliver an average increase in download performance of 13Mbps. In theory a 2km copper line might deliver around 9Mbps via normal VDSL2, while LR-VDSL could potentially do 24Mbps+ over the same distance. As for the new pilot locations, Openreach has already migrated all eligible lines in Clachan and Whitehouse and on Eriskay to the new technology and, if it proves successful, they will remain in operation at the higher speeds for the foreseeable future. “Early results have been positive with most households seeing a significant increase in their fibre broadband speeds,” claims Openreach. 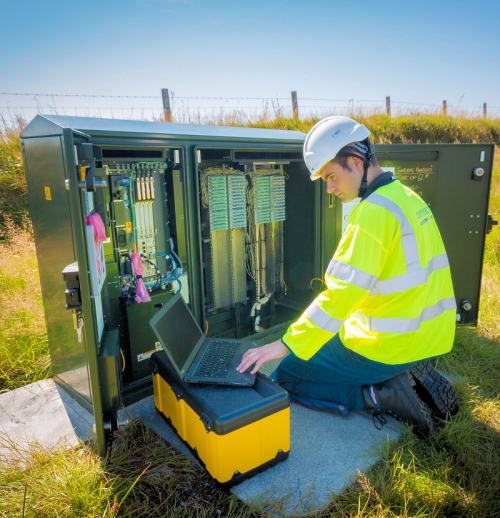 Clachan, Whitehouse and Eriskay were chosen due to their remote locations, and the fact that existing fibre cabinets which serve the communities support a cluster of long lines where download speeds are currently less than 10Mbps. However the Government has yet to launch its final USO consultation and so the key decisions, such as on what technologies will be deployed or how the funding will be handled, have yet to be made. Nevertheless LR-VDSL seems like a fairly safe bet, particularly given that the Government and Ofcom keep name dropping it. That mentions 2 variants of LR-VDSL, one in use at the time, and one “modelled”. 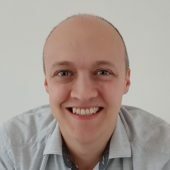 It looks like that second variant ties in with Mark’s final paragraph here – that some changes are needed in the ITU standard, and some consequent changes to end-user modems. Is this something that can be run on long EO lines as well, or does it require a cabinet as with the current VDSL? I understood from somewhere that the reason to not permit VDSL from exchanges would be crosstalk between ADSL and VDSL, but if this requires ADSL to be switched off anyway, would this ban then be lifted? According to NICC, there are EO cases where the EO lines run within the same cable binder as cabinet-based lines, perhaps in the E-side, perhaps in the D-side, and that records aren’t detailed enough to be able to identify this properly. It sounds rather messy, TBH. If EO-lines could be identified to run in their own cables, then the rules could probably be lifted for those cables. On the niccstandards.org.uk website, look at “publications” then ND1517. LR-VDSL only requires ADSL to be turned off on lines that run through the same cabinet; ADSL could still be used on other cabinets or on EO lines, so isn’t an absolute switch-off. As LR-VDSL requires no adsl and the ofcom demanding the price of vdsl drop to around the price of adsl by 2020 i’m pretty sure that openreach will disable adsl for 99-100% of the country by then and just use vdsl, lr-vdsl and g.fast. I hope this is the case at least. More than a bit off-topic. As commented elsewhere, let’s hope that LLU isn’t used as an excuse by Ofcom to delay real network investments and innovation such as this. Despite their rhetoric, the likes of TalkTalk and Sky were against the original investments in fibre, will no doubt oppose anything that disadvantages their LLU assets, irrespective of the benefits to us poor customers. Ofcom should put ISPs on notice that LLU assets are liable to be defunct as other technologies are deployed so that they are clear that they cannot delay progress. More creative use of network frequencies would deliver real benefits in terms of higher speeds and longer reach, LLU is holding this back at present. Quote “we can get fibre-based solutions to almost 99 per cent of homes by the end of 2020”. Why do they keep referring to fibre? It’s false representation. Using that definition why don’t they just say they have 100% fibre services now as fibre delivers the connection to the exchange which then connects to ADSL customers. It could well be a large number of people on LR-VDSL have a longer copper fun than fibre length to the cabinet, so saying “fibre” is pushing the definition into fantasy land. Anyone prepared to wager on the level of dithering by OFCOM? Benefit the consumer or benefit the ISPs with obsolescent assets? Can’t work out what I would achieve from that linked speed/distance graph. I’m currently on a long line, just a bit under 5km from the cabinet. However, currently syncing at around 1.7mb – rock solid, using a billion router (have steered clear of the SNR mods though). My sync speed looks to be ahead of what is estimated for that distance – so what can be reasonably expected to be achieved from LRVDSL2? Is your 1.7Mb for ADSL from the exchange or VDSL from the cabinet? Which graph are you referring to? The graph linked by MikeW above is only for VDSL. Your speed is in the region that would be expected for ADSL at a distance of ~5km from the exchange, is the cabinet near the exchange itself? Ah right. That’s ADSL I’m on currently. I take it at that distance LRVDSL2 wouldn’t help? Yes, I’m referring to Mikes graph – my bad. I take it that LRVDSL2 would only cause an uplift in sub-3km lines? I’m around 3miles/5km from FTTC-enabled Cab, it’s around another 2km to the exchange. Keep in mind that the figures on the graphs are probably based on one wire diameter and one wire material, typically 0.5mm copper. If you have a thicker wire gauge, you may get better than the graph, if you have aluminium and not copper, you may get worse. Wire gauge can have a noticeable difference, my ADSL line is approx 7.5km from the exhange and syncs at around 3Mb so we obvoiusly have thicker gauge wire for some of the loop. Would LR vdsl help me and what sort of speed could I expect? My very first comment has a link to a rate-vs-reach diagram. That suggests around 5Mbps for the first variant of LR-VDSL, which I presume is what BT are currently trialling. It also suggests 13Mbps for the second variant, once changes have been added to the standards, and upgraded hardware/software has been developed. But we have no idea whether that diagram matches reality. We’ve seen Isfield results (as in the diagram), but nothing that relates those speeds to distance.